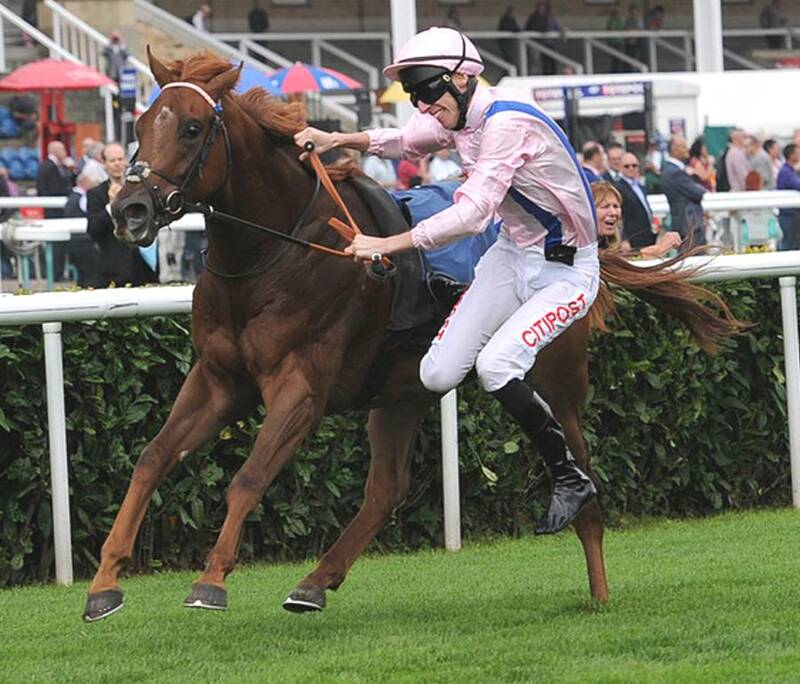 British 2yo Racing - 2014 Race Result :- 695 : Fri, September 12th - Doncaster 1:40, 5f Group 2 (1), "Flying Childers Stakes"
NR Sarista a T. D. Barron 12 NR = Vet's Cert (Lame). Declared 09:58am. Probably not worth getting too much into the grey area of whether jk Baker 'fell off' or was assisted to some extent by the saddle slipping. One argument would be that the saddle didn't start to slip until the jk had lost his balanced and had all his weight on the left stirrup. Which might well shift the saddle. Jk said afterwards he wouldn't make a Jump Jockey and seemed to accept he came off too easily. The worthwhile point to note is what would an American jk make of watching Baker fall off. You would expect a hard-nosed summary which said he cme off because of the way he rides. If he had been sat tight to the horses centre of Gravity and not throwing himself up-and-down he would have stayed on. But, British audiences are conditioned to think of MOAS bouncing around by jks as being 'strength' so stuff like this will happen. As ever Pundits, in a vague attempt to make The Market the centre of the story & lacking the analytical framework to do some wortwhile thinking, prattled on about how some money had been laid on CG Betfair at 1.01 and £49 bet on Beacon at 999/1. All together - so bloody What? Either the people are betting in those Markets as a considered long term approach to work an Edge they have, OR, the rest is just 'Lottery Tickets' and people learning the Hard Way. If you spend a lot of time betting on 1.01 shots you must know that they don't all win and you have to make enough to ride the problems like CG. If, you cannot move onto the next race after an UR like this then you are doing the wrong job. The event was dramatic enough and the analysis possibilities wide and varied without falling back on nonsense like Betfair trading to try to put the race into some context. Stewards' Enquiry Text = "The Stewards held an enquiry into the fall of George Baker, the rider of COTAI GLORY, just before the winning line. They interviewed Baker and having heard his evidence and viewed recordings of the incident the Stewards found that the fall was caused by COTAI GLORY hanging sharply right, causing the rider's saddle to slip slightly and unbalancing him. Being satisfied that no other horse or rider was involved the Stewards took no further action.". Stewards' Enquiry Text = "The Stewards considered the running of AHLAN EMARATI (IRE), ridden by Jimmy Fortune and trained by Peter Chapple-Hyam, which finished unplaced. The Stewards noted the trainer's explanation that the colt was in need of a break, having had a busy season. The Veterinary Officer reported that a post-race examination during routine testing of the colt failed to reveal any abnormalities. ".